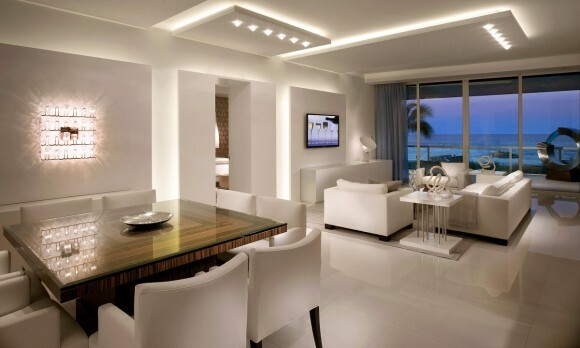 It is often overlooked, but the lighting in your home is integral part of the interior design. When done right it adds to the tone and atmosphere and helps to accentuate the different areas of your home. Poor lighting or lighting that is too bright has an adverse affect and makes it difficult to relax, and finding the right balance will take time and effort. The key is to establish what the purpose of each room is along with what furniture, artwork and other items there are. You will want different lighting for different rooms of the home, for example in the kitchen you will need bright lights that illuminate the whole room so that you can see what you are doing. Whereas in the living room, or an area for relaxing, you will want to set the mood by having lighting that adds to the design style and leaves certain areas darker than others. Once you have established what the purpose of each room is you can begin to plan what lighting you should use to achieve the right tone. This will use a combination of ceiling lights to illuminate entire rooms, wall lights to accentuate certain areas and lamps for lighting small areas of a room. To ensure that you do not add too many light sources and create an uncomfortable atmosphere you may want to slowly add to each room until you get it just right. With each type of lighting you can find an enormous range of styles. Contemporary, traditional and designer styles can all be found, which can add to the interior design style that you are trying to achieve. To find the best range you will want to visit lighting superstores, like Scotlight Direct and others. These places will carry different lighting types, design and styles so that you can find everything you need for each area of the home, including the garden. In addition, you will find lighting superstores the best place to shop as you will also be able to find energy efficient LED light bulbs. These are environmentally friendly and will also help to reduce your energy bill. A beautifully lit home can make a huge difference and enhance your interior design style. In order for this to work you will need to consider the purpose of each room, and then find suitable lighting to reflect this.